Having delivered many high profile and complex projects over the years we know that our team’s combined experience really counts when it matters. But size is not everything – don’t worry, no job is too big or too small, and no job has ever fazed us before! 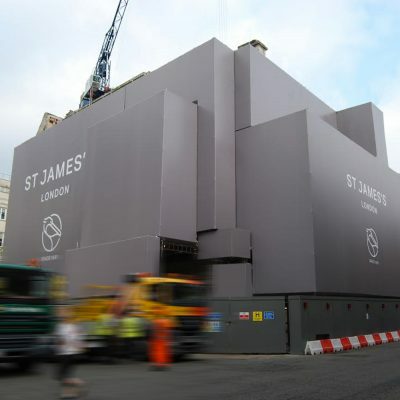 Embrace can design your building wrap, scaffolding banner & site hoarding to fit your exact needs – whether you are looking to make a high impact statement, reinforce your brand identity, advertise your project or simply disguise the wooden site hoarding and scaffolding. We know that using the best materials ensures that your message will last the test of time in terms of durability against the elements and also keep your creative message displayed in the best shape possible for the entire life of the project. If you do not have a creative agency, do not fear! We can give you access to all the resources that you will need through our in-house design team. Let us bring your ideas to life using striking visuals and bright colours that attract the passers-by and brighten up the urban landscape with your creative canvas. 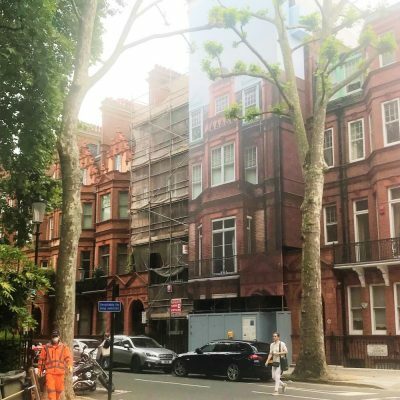 Our experienced team can help you choose the appropriate artwork for the project and make sure it is meets all the requirements to be suitable for being scaled up to the supersize building wraps or site hoardings required. It’s all part of the service, but not a requirement – of course if you prefer to produce the creative design yourself, then that is fine too! 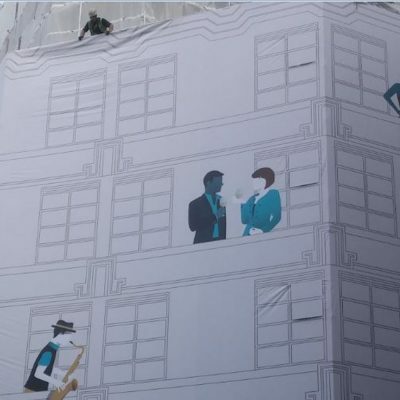 For print production, Embrace Building Wraps use the best materials available that are suitable for the project at hand and we will generally confirm these with you following our site survey. The ink, finishes and substrate materials employed are chosen to provide great looking results at a fair price that gives you real value. And as it’s Embrace you have our promise that, following the site survey, the price that we quote for designing, printing and installing your wrap, hoarding or banner will be the price you pay, with no hidden surprises or add-ons creeping in when we arrive on site.